I am sure you are thinking ” Oh great, ANOTHER post about what I should know.” To be honest I would have to agree with you, there are so many articles, posts, lists, etc. 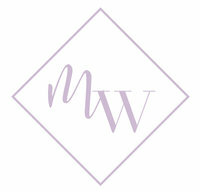 claiming to have zeroed in on what every Bride and Groom needs to know when getting married. So what makes this list different from others? Well its all tried and true tips. Below is a photo of me and my now husband Jarred the night we got engaged! You can read more about my own engagement here. Soon after getting engaged I learned how much I really didn’t know about being engaged. Everyone is just so excited to start planning their wedding or hearing about all of your grand plans but there are some important things to remember PRIOR to all of this. I hope this helps all my Brides and Grooms out there who are newly engaged or maybe a few months in. If you read this and can check everything off then kudos to you! Getting engaged is a monumental time for all of your friends and family, I remember when I got engaged my Dad kept asking me when I would officially post it on Facebook so he could do the same! It can get overwhelming at times and even annoying but try and look at the big picture. You are getting married! So when your friends and family start becoming wedding experts, just take a breath. Find a night where you and your fiance can have a “wedding free” night.. no wedding talk just you two. I really didn’t know much about this at the time but then people start asking if my ring was insured…luckily my husband had done this when he purchased the ring. You can add your ring to your homeowners or renters insurance. If neither apply to you most jewelry stores will help you with this. You will be glad you did! I know how exciting the thought of venue searching and dress shopping can be but before you start booking your appointments take some time to create a wedding budget. Whether you and your fiance are paying or your parents are helping flip the bill, it’s a good idea to discuss the type of wedding you want to have including location and guest count. Once you have your game plan then it is time to get organized. Google “wedding checklist” and you will not be disappointed. I promise this will help you stay in check as you countdown to the big day. 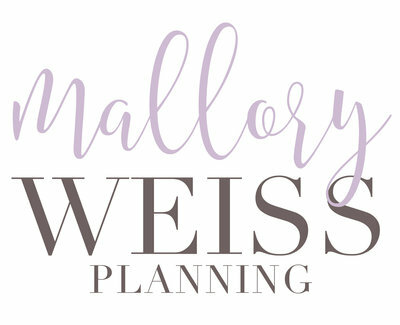 My other tip is to create a wedding binder where you can keep your checklist along with any paperwork you get from potential vendors and venues, contracts, etc. If you have met me you know I would never steer anyone into spending money I think is unnecessary so I say this with all I have…please hire a wedding planner. Most people hear wedding planner and think Jennifer Lopez but that is not all wedding planners. You can check out my FAQ sheet for more information on the differences but for this purpose trust me. Wedding planning can become overwhelming and stressful even for the most type A person. 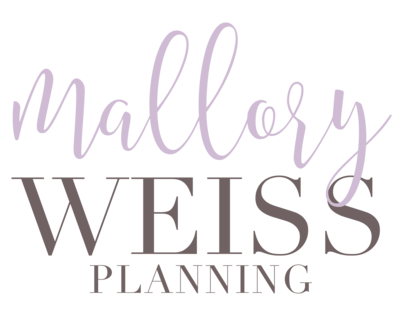 Hiring a planner will be the best decision you made because he/she will keep you organized, help you grow your ideas, and let you enjoy your wedding! I work with my couples to keep them stress free and enjoying their wedding process because as I tell each of them…you spend so much time and money planning the day, shouldn’t you enjoy it too? This is a no brainer. You take the ring off to wash your hands or do dishes and next thing you know its down the drain. So please, buy a ring dish. Another tip, you can purchase cheap ones pretty much anyone so keep them everywhere you would take your ring off: bathroom, bedroom, kitchen, etc. This tip is pretty much the sister to #1. Everyone will begin recommending THE BEST florist and THE BEST DJ. Whether you are soliciting for advice or not they believe they know what you want. So my advice is to just take a breath, smile, and remember this is your day. You make the final decision so let them say what they want. This may be one of the most important points to remember, and sometimes easiest to forget. Contrary to popular belief this wedding isn’t for Mom or Dad or Grandma Sue. This is about you and your Fiance. End of story. I get it can be hard when others are paying so sometimes you have to compromise and I suggest hammering those details out during the game plan. But in the end it is you two against the world. Help each other and support each other because you will learn a lot about your relationship when big decision have to be made. Remember that wedding budget you created? Here is why it will your best friend. I will admit I love Pinterest, I use it personally and professionally with my clients. It really helps to see a client’s vision for their wedding. The difference between couples are those that want their wedding EXACTLY as their board portrays and those who are more reasonable. Weddings are expensive and while you are pinning away you have to remember that everything has a price. But if you budgeted correctly you have made sure that what you want is what you will get. Don’t let money get you down though, there is always a way to make your wedding dreams come true. I feel like most couples wouldn’t put “wedding planning” and “fun” in the same sentence but it really can be! Couples get so focused on planning they forget to have fun. At the end of the day you get to marry your best friend and there is nothing better than that! If you liked this you won’t want to miss our wedding details post!